On Sunday, I ran the Watford Half Marathon, which was the first half I've run since last summer. I was sure this was a race I'd run before, but on Saturday night I realised that I'd been thinking of a totally different race, and had no idea what it was going to be like, so turned up without any real expectations. The start (and finish) is in a local park in Watford. Local parking was a bit of a nightmare, but otherwise it was very well organised with changing areas, loads of toilets, efficient baggage drop and even massage available! However, I was totally perturbed by the fact that there were two starting points - one for men, and one for vets and women! What on earth was that about?! Not impressed. Fair enough have two starts divided by your anticipated finish time but such incredible and blatant sexism and ageism was a surprise. Anyway, once both groups get going, you spend the first 3 miles running through a housing estate. It's a pretty big race (1699 people finished) and the more of the smaller races I do, the more annoying I find it running in a crowd, and I wasn't impressed with the suburban route - I was starting to get very worried that this was what the whole run was going to be like and that I wouldn't enjoy it. Thankfully though, after those three miles, the rest of the route was lovely and we all started to space out. 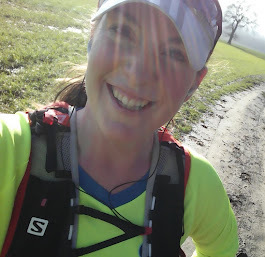 Running through country lanes that were closed to traffic for the race was an absolute delight - it's been ages since I've run on traffic free roads in a race! Then the last couple of miles were through a track in the woods which was fantastic. Thanks Jerry :) Sorry to hear that you'll not be at Braintree but to be honest sounds like it's going to be a hard run, maybe you'll not be missing much - weather is forecast to be awful!! I love how you 'only just find your stride' at 13 miles! Makes this gal very jealous. Separate starts? Seriously??? I find that totally outrageous and archaic. If I'd been there, you'd have seen one serious hissy-fit thrown!! !